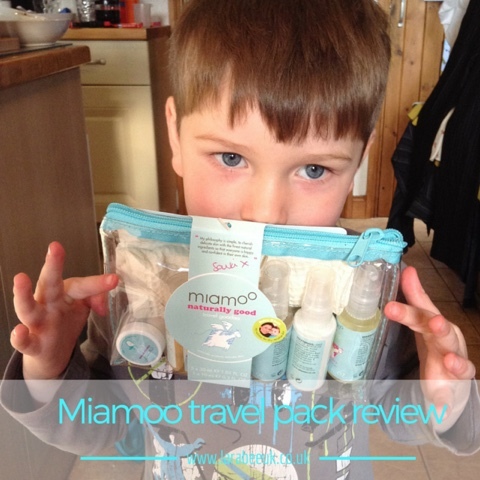 Just before our trip to Hoylake we were lucky enough to be sent a Miamoo travel pack to review. 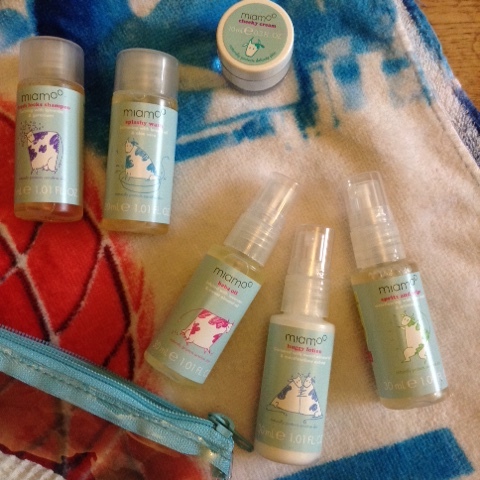 I love the concept of Miamoo which is the brainchild of The Apprentice star Saira Khan, having a small child with very dry skin, breakouts of pimples and bouts of eczema I was really keen to try these products which claim to 'naturally protect sensitive skin'. Miamoo products are not tested on animals and the only animal product they contain is silk (in some products) so of course, as a wannabe vegan this is great news. Our first impressions were really positive, I didn't think the packaging would appeal too much for my superhero loving nearly 4 year old, but he loved it. His face lit up when he opened his pack and took out all the bottles asking what each one was. He loved the idea of having his own little travel kit to take on our road trips and it makes him feel very grown up! We've used all of the products now and will be placing an order soon for some full sizes. T loves the buba oil which leaves his rather dry and rough legs soft and well moisturised. The shampoo is a winner because it doesn't 'hurt his eyes' and the cheeky cream was great for popping on a grazed knee, formed a little barrier and stopped it bleeding. I think I'll be keeping a spritz and wipe spray in the fridge in the summer for spraying on his hot face for instant freshness. I really can see the products becoming regulars for the whole family. The sizes are perfect and actually contain a lot more product than you would expect. We are certainly big fans. The travel kit is priced at £15 and most of the full sized 200ml products are £6. Disclaimer: we were sent this travel kit free of charge in return for our honest review.